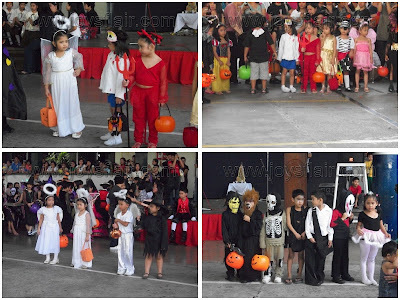 A Halloween Party and Trick or Treat is yearly marked in the school calendar, where my youngest son studies. Everyone is in high spirits, cheerful and jolly. 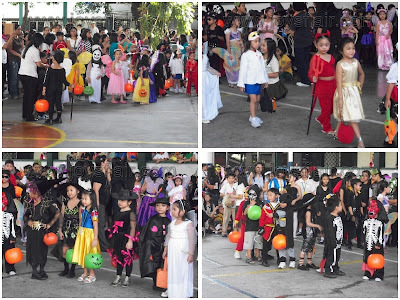 Parents alike were so excited to see their children in Halloween costumes. This year, Yahmir participated in the parade of costumes. 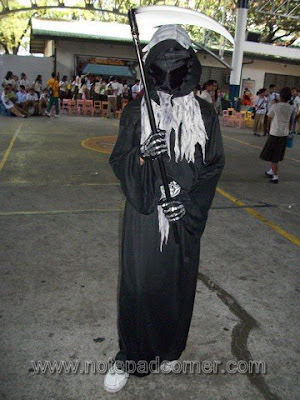 He wore “The Reaper” guise and happily joined the fanfare. 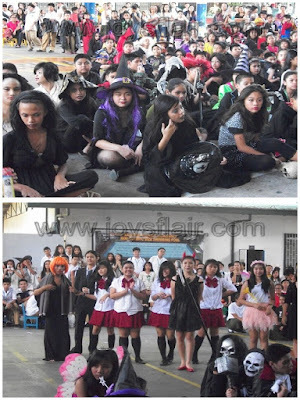 Every classroom is beautifully decorated with lots of halloween decorations and eerie designs of mietwagen. Some wore creepy costumes too. 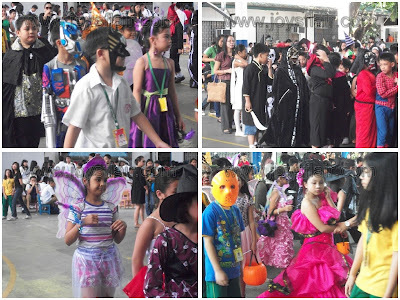 Candies and cookies fill every pumpkin pail of roaming pupils and students. 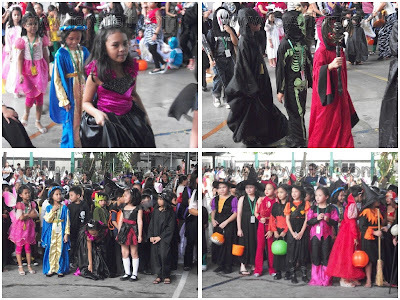 The school ground was full of pupils and students in Halloween attire. 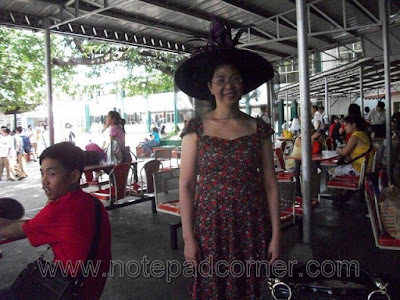 I also wore a witch’s hat while I took pictures around, thanks to my husband who took my picture after I finished roaming around too ahaha. weeeeee..cute Ms.Joy oh..where's your pumpkin basket ms.Joy..eto po oh chocos..don't turn me into a frog..kokak hehehe.. 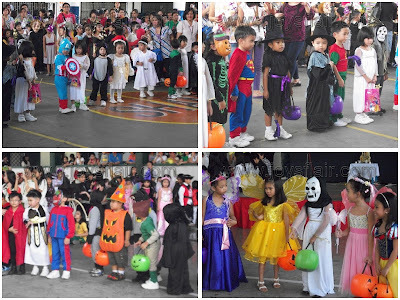 I'm sure the kids and kids at heart enjoyed this event ... nice pics! have a blessed sunday to you .. Keep in touch.. I think Halloween is a scary festival for me who is really scared of witches and the dark. Thank you very much for commenting on my post, Mommy Joy. You're so cool! My daughter and I usually attend to these kind of events when I was working at the golf club, It was stopped when I transferred to Makati. Kudos Jeny! 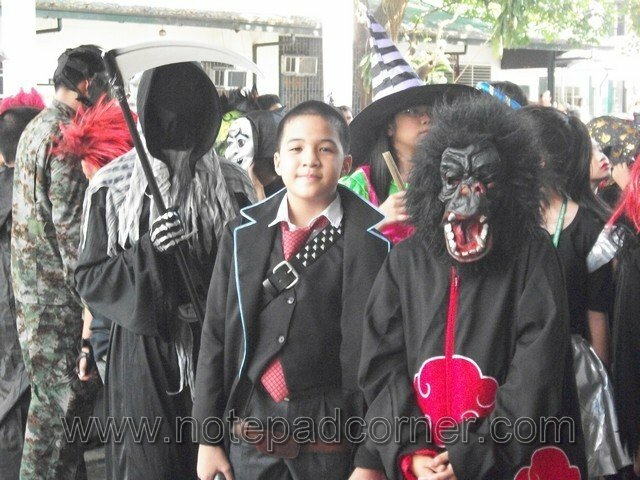 I LOVE Yahmir's costume! Scaryyyy! Haahaha. I studied at SHAN for 12 years pero wala akong naalalang ganyang event during my time.